ExxonMobil Approved Bolts Studs and Nuts – What is an AML? Where can I find Exxon Approved Bolts? And what is an AML? 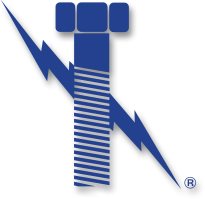 For example, Lightning Bolt & Supply is on ExxonMobil’s global AML / QML (qualified manufacturer list) as an “approved” fastener manufacturer. This means regardless if you are an ExxonMobil buyer in Singapore, a pipe distributor in Texas, or a valve manufacturer in the UK, the fasteners (ie. b7 Studs & PTFE coated stud bolts, 2H nuts, washers) must be supplied in accordance with the clients AML. This is to ensure that the quality demands set-forth by ExxonMobil on its fastener manufacturers trickle into the supply chain. In regards to Exxon Approved Bolts, there are many quality test that go on behind the scene that most people wouldn’t think about. Many have fancy abbreviations like PMI and TPI. Below are some of the methods that Lightning Bolt uses to ensure that our products are of the highest quality fasteners in the marketplace. ISO 9001:2015 – We were the first fastener manufacturer in the state to be certified to the newest ISO standard. Our program is robust and mature, and does an outstanding job at tracking recurring trends to ensure customer satisfaction. This is often a requirement for any company interested in manufacturing Exxon Approved Bolts. 100% Receipt Inspections- Lightning Bolt is listed as an Exxon approved bolt manufacturer for many reasons, but one is due to our receipt inspection plan. Regardless of the source, all inbound orders are inspected thoroughly.